Six months ago, a pal and I were trolling around Richmond and Spadina, in downtown Toronto, looking for somewhere to have supper. I used to live around the area, so I was familiar with the options but like many major cities, there had been quite a bit of turnover. 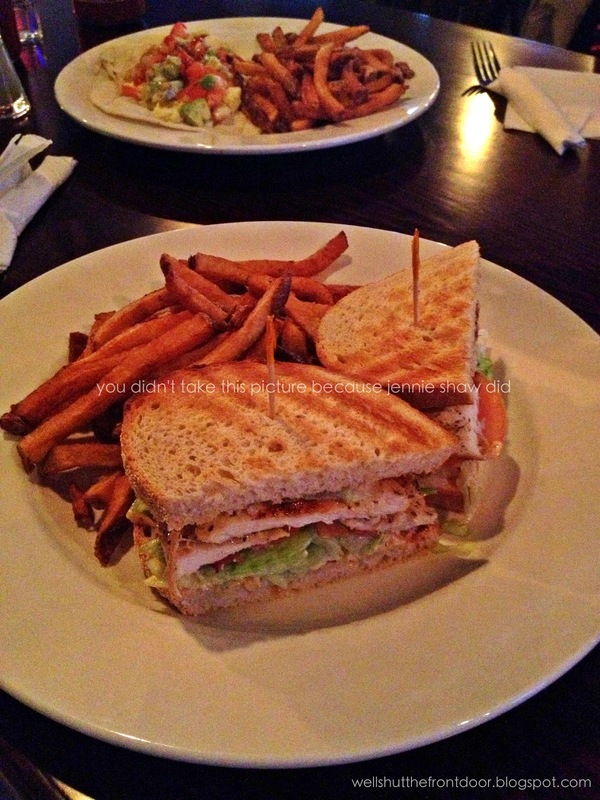 One of the new restaurants was etcetera and after taking a look at the menu, we decided to give it a try. And boy oh boy, we were ever happy with our choice as the atmosphere was super chill (awesome), our server was very welcoming (awesome), and they had a solid selection of drinks (obviously awesome). I'm a sucker for exposed brick and ventilation, so as you can see, I was in my element. One of the appetizers that caught our eye was the Gnocchi Poutine. Now, I'm a fan of new takes on standard dishes but I never would have thought of such a combo. And it's brilliant, really, as gnocchi is made from potatoes and...well...so are fries. 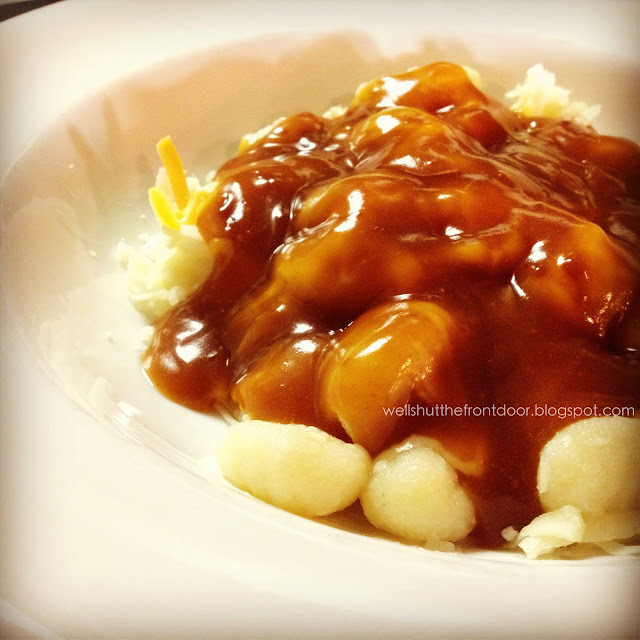 So topping gnocchi with gravy and cheese is like a total no-brainer in terms of taste. Obviously, we ordered a serving. We ate ours before taking a picture so etcetera was kind enough to send me this one. And the fact that we couldn't control ourselves is a testament to how good it was. To sum it up in one word: ah-mazing. The gnocchi was cooked to perfection, the gravy was rich and hearty, and the cheese oozed over everything nicely (as cheese has a tendency to do). My pal and I ended up staying until closing time, and *may* have sampled a few of the many cocktails, which is when we learned that our server was actually the manager! Her name is Azzy and she's just about as cute as a human can be. She'd first come to Toronto for a Thanksgiving weekend and loved the city so much that she wanted to stay. So, when this former hair stylist's brother wanted to open up a restaurant, she decided that she would help and etcetera was born. It was a wonderful night, to say the least. 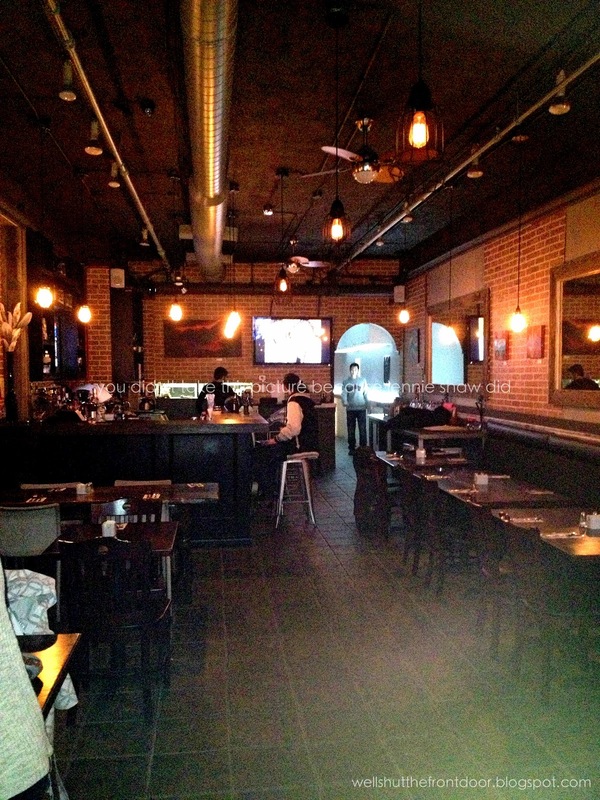 So wonderful, in fact, that when I found myself in Toronto in February, the same pal and I went back for seconds. 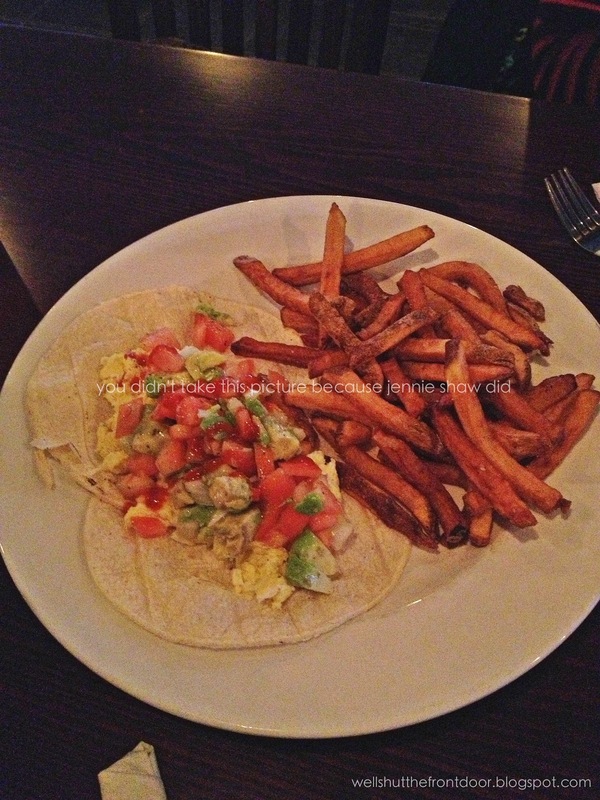 This time, my pal ordered the Egg Tacos while I opted for the Chicken Club. And just like the first time, everything was freaking delicious! Egg Tacos: Corn tortillas, scrambled eggs, avocado, tomato, and salsa. Served with hash browns (or fries, in this case). Chicken Club: Tomatos, bacon, chipotle mayo, and lettuce. Served with fries. And can we talk about the chipotle mayo for a sec? It.was.ballin'.